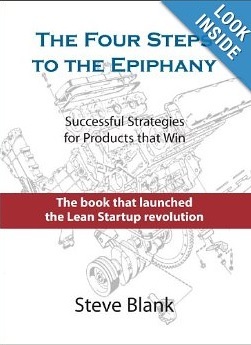 The book that kickstarted Lean Startup was Steve Blank’s ‘The Four Steps to the Epiphany: Successful Strategies for Products that Win’. The book focuses on how to successfully organize sales, marketing and business development for a new product or company. The book offers insight into what makes the difference between success and failure for startups. A preview of the book (first three chapters) is available online via the Stanford University website while Eric Ries has written a super review of the book on his blog (startuplessonslearned.com). It is some time since I read this book (first published 2006) and I recall that I found it difficult to read and not particularly enjoyable. At the time I had just read ‘Art of the Start’ by Guy Kawasaki which is brilliant – and addresses many of the themes discussed in The Four Steps. Given the other books on offer, I don’t particularly recommend that business promoters read this book. Much better is the follow up book by Steve Blank, co-written with Bob Dorf, called ‘The Startup Owner’s Manual‘ aptly subtitled the Step by Step Guide to Building a Great Company. The book is structured into 3 sections; a general introduction followed by specific sections for Physical Products and separately for Web/Mobile which show you how to get, keep, and grow customers. 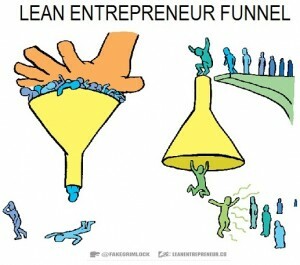 This is a slideshare by Steve Blank presented at the Lean Startup Conference in 2012. The Startup Owner’s Manual is a very good book – it was the first one I bought via iBooks on my iPad and it is a great way to really study a book. Anyways, the part that I really liked was the Customer Development Manifesto which is Chapter 3 and outlines 14 rules for startups … they are outlined as 17 principles in this article by Steve Blank which I assume was published after the book was published in 2012. The book is indeed a Cheat Sheet to the Four Steps and is described as a Must Read by Steve Blank. 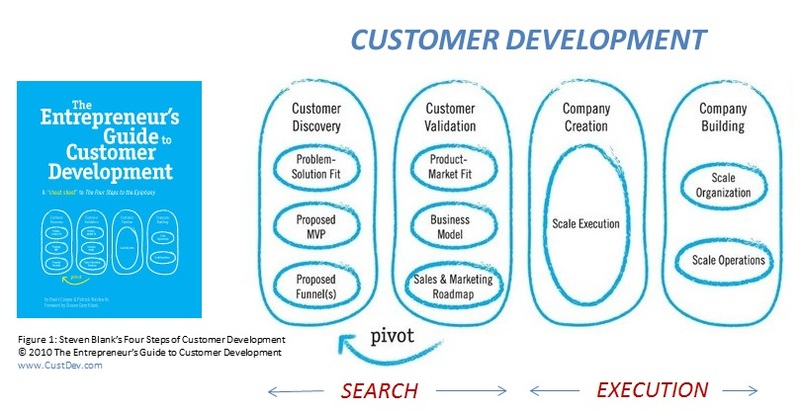 It clarifies the process of Customer Development by using models to visually illustrate how a business moves through the stages from pre-startup to market traction and onto growth. It makes sense of lean startup concepts like Product-Market and Minimum Viable Product (MVP) while also talking about value propositions, market segments and messaging. It provides a structure that clarifies what is really important given the stage of development of your startup. I really like the concept of matching your Sales Funnel to the Buyer’s Purchasing Process as a way to clarify what you need to focus on as part of your Customer Discovery (as presented on page 54 including a really good example). Overall – the Entrepreneurs Guide is a great book and the place to start your Lean Startup reading. 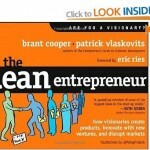 The 2013 follow up book by Brant Cooper and Patrick Vlaskovits is called ‘The Lean Entrepreneur: How Visionaries Create Products, Innovate with New Ventures, and Disrupt Markets‘. It is a good book which is well written with lots of case examples – it also has some brilliant graphics like the one below which is making point that traditional approach to the Sales funnel should be turned on its head. You can see the authors’ book promo on YouTube (3 minutes) below. The Lean Entrepreneur firstly provides a good summary of Lean Startup and Customer Development principles before adding to the resources available to entrepreneurs. The final two pages (233 & 234) provide a Nine step job by job bullet-proof blueprint plan for success. Job 4 is called ‘viability experiments’ and is discussed fully in chapter 6. The idea of viability experiments is to test critical aspects of your business model before you build them out. Great examples are provided of different types of tests: landing page; concierge; Wizard of Oz; Prototypes; Wireframes & Mockups; and Test apps. There is bonus material on Lean Entrepreneur.co which is made available after you buy the book. Overall, definitely worth reading this book. The Lean Startup: How Constant Innovation Creates Radically Successful Businesses by Eric Ries is a fantastic book. The book is acknowledged as changing how startups are defined and how everyone thinks about entrepreneurship. A movement has indeed been created with Lean Startup principles now being applied in large enterprises, non-profits and government agencies. A new terminology has been popularised to include: Build-Measure-Learn feedback loops; Pivots; and Hypothesis. My personal opinion is that these concepts are brilliant and need to be understood but we need to be careful with how we use the buzzwords as per my earlier blogpost. My favourite part (real eye opener) of the Lean Startup was the discussion of Engines of Growth addressed as part of Innovation Accounting. These are critical to understanding how close your business is to achieving product-market fit. It answers the paradox: how do I know if I should quit as this is not working or if I should persevere as success is around the corner or if I should change to get to where I want to go. For more on Engines of Growth see Eric’s blogpost from 2008. I think Eric is a great speaker as you can see in the YouTube video below. 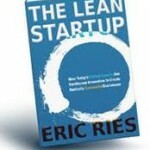 60 minutes – recorded one week after the publication of The Lean Startup. Running Lean: How to Iterate from Plan A to a Plan that Works by Ash Maurya is my most valued book. If you are to only read one Lean Startup book then this is the one I recommend. See the YouTube promo video (2 minutes) below which encapsulates what the book is about. I am not going to discuss this book in great detail but refer you to an article that I wrote for Tweak Your Biz entitled 4 ‘Running Lean’ Tips to Avoid Startup Product Failure. The practical nature of the book is complimented and enhanced by the Lean Canvas – Ash’s version of the Business Model Canvas. I would strongly endorse the Lean Canvas tool as an alternative to writing a full business plan if you have an early stage startup. When completed online the Lean Canvas tool is accompanied by short relevant videos that help you to complete each of the nine building blocks. Ash Maurya’s new book called The Customer Factory will be published later in 2014. You can find out all about the book and how he is writing it on Ash’s blogpost which includes a one hour youtube video of some of the key concepts and a link to download the first chapter which he will be iterating on following feedback. The book sees the creation of a new tool called the Lean Dashboard which is all explained in the aforementioned video. 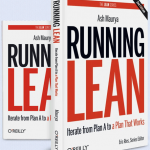 Running Lean is the first in a series by O’Reilly Media. The second is an amazing book – ‘Lean Analytics: Use Data to Build a Better Startup Faster’ by Alistair Croll and Benjamin Yoskovitz. It is not difficult to read but it will take time to read and absorb. Armed with an appreciation of Lean Startup principles, I found the book to be hugely valuable. It focuses on the measurement component of the build-measure-learn iterative cycle of Lean Startup. 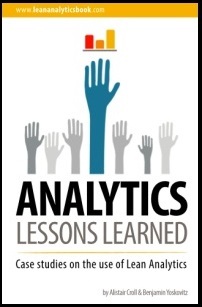 It is packed with case studies – you can get all the case studies compiled into one FREE eBook (pictured) by request on the Lean Analytics booksite. Lean Analytics will help you to discover what metric to track given your business model and stage so that your team can focus on actionable results. Some of this eCommerce material is referenced to Kevin Hillstrom of Mine That Data who seems to really be an expert in his field – a recent post outlines a major change in strategy regarding Free Shipping. An excerpt of the book can be seen in this Forbes blogpost which reviews the book. You can also see the authors in action on Udemy (the online learning platform). I really enjoyed the 2.5 hour FREE course on Lean Analytics presented by Alistair and Ben. BTW, Ash Maurya also has a free 5 part Udemy course on the Lean Canvas. I love reading. I particularly love reading good books. A good book allows you to understand and put structure and give meaning to what is going on in your business. Starting a business is not easy. We need all the help we can get. Learning from others and understanding what made others successful has to be a benefit. The authors in the Lean Startup movement are doing a great job in helping entrepreneurs (and trainers/mentors) around the world by sharing their knowledge and experience and by presenting and creating additive frameworks, tools, and systems to help us manage the start-up journey. As always I hope you like this blogpost. It is probably one of my longest at 1600 words and I look forward to your comments.